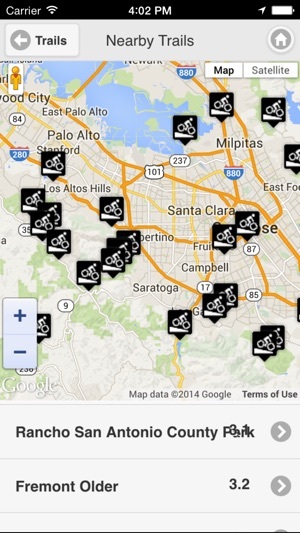 - Find nearby mountain bike trails or search by state from 4,000+ trails around the world. - Access trail descriptions including driving directions, length, difficulty, trail photos, and reviews. 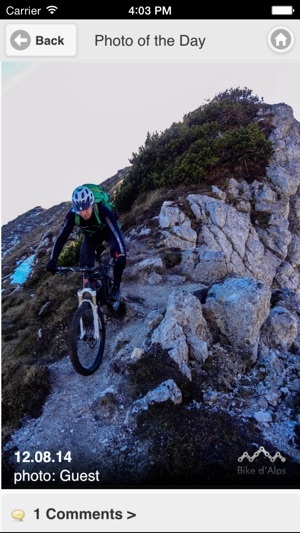 - Read thousands of mountain bike product reviews covering everything from bikes to components to accessories. - Bike shop locator with reviews and photos. - Photo of the day delivery. For even more mountain bike trail information and gear reviews, visit singletracks online at www.singletracks.com. Sign up for a free account to create a ride log and wishlists, plus add your own trail and mountain bike reviews, photos and videos. Note: Note: Continued use of GPS running in the background can dramatically decrease battery life. I'm not sure why all the low ratings. I also had a log in issue, but I contacted tech support and they had it fixed in a day. Was lame, now AWESOME !!! 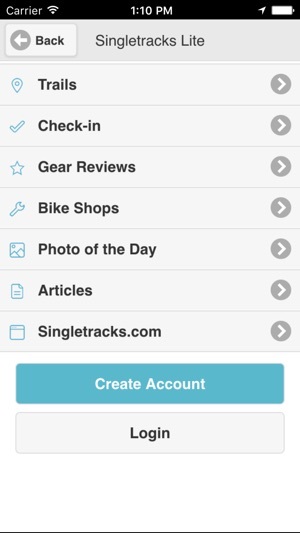 As a big fan of mountain biking AND my iPhone, I was pretty happy to see the Singletracks app. In all honesty, though, previous version 0.9 was something of a letdown, and wasn't very useful to me. On the other hand, patience pays off! The new version 1.0 is FANTASTIC, and not only what I had originally hoped for, but more. It's super easy to find trails wherever I am (home or away), and to access pics and maps. Also, I really like being able to get the blog (in an easy to read fashion) from the app. Great job, Singletracks! Keep it up. 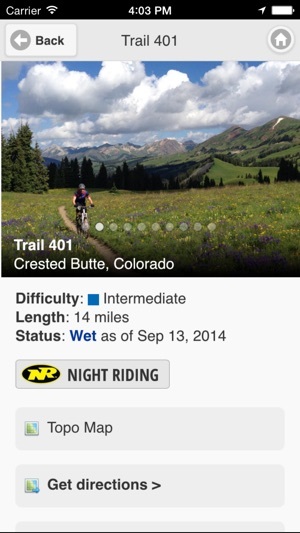 Please bring us an iPad version so we can better study trail maps in between rides! Love the idea, but app needs work. - Smaller font option so more text can be seen on the screen (trail results window especially). - better filter options on search results. Instead of just an open search field, what about search by trail length, highest rating, etc. - sometimes the trail entrance address is good for driving directions but it would be nice to have a section that included more information on parking and actual drop in location as sometimes these are not well marked.